I couldn't be more excited to be writing my first official post for Weddingbee (What!?)! Like many bees before me, I fall into the long-time reader category. 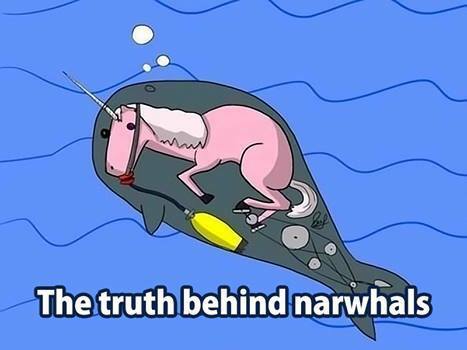 We're talking long before Mr. Narwhal was in the picture, so naturally, this moment right here is pretty epic in my little world! Before I get started on our journey towards our wedding day I will start with a little bit about us and where we're heading... a prelude of sorts. Miss Narwhal here reporting for duty from cold and wintery Muskoka! Known for it's beautiful summers and the influx of tourists escaping to their cottages in the warmer months, we can be found hanging out in the woods year-round. I'm a local that left to the capital city in Ottawa for seven years, returning only to fall in love and move home (more on that soon). Mr. Narwhal is originally from Thunder Bay, Ontario and ventured his way into the area in his late teens, leaving for awhile and coming back to call it home around five years ago. I'm a mix between someone who loves and appreciates the outdoors and someone that certainly enjoys my time curled up on the couch in front of a fire binge-watching Netflix shows (anyone else super excited and watching Friends like crazy right now?). Speaking of Friends, I consider myself to be a mix between a Phoebe and a Monica. I am a bit of a free-spirit with a passion for positivity and gratitude. I have seven journals (and counting) filled with gratitude statements. On the other hand I am a list-maker, planner and a bit of a control-freak. Yes, both a free-spirit and control-freak. I'm a special breed. I work from home, having recently started my own consulting business. My days involve a lot of emails, Word documents and Goto Meeting. Sometimes I get to travel for work (it used to be a lot), and this includes an upcoming trip to the Arctic in February! Without having some long-time connection to any of the monikers, I decided to pick the narwhal! Found in Northern Canada and being the unicorn of the sea, I figured it probably was the perfect choice for me! Mr. Narwhal is my bearded gentleman that I am incredibly blessed to have the honour of marrying this upcoming August. He's obsessed with the outdoors, spending most of his workday outside. He has a passion for music, and knows every single lyric to any song he's ever heard. He's a busy body that rarely sits down. In the winter he spends a lot of his time coaching hockey to kids or reading about hockey scores. In the summer, you'll find him outside until it's dark - either in the garden, or working around the house. Together we have created a pretty great life. We live on two acres in our modest home surrounded by the forest with our dork of a dog Nelson and our sassy cat Vada. We have way too many conversations for our pets (please tell me we're not the only ones!). I cook and he does the dishes. I listen to the music and he listens to the lyrics. We have most of the same answers when we play Scattergories and well, we're madly in love! 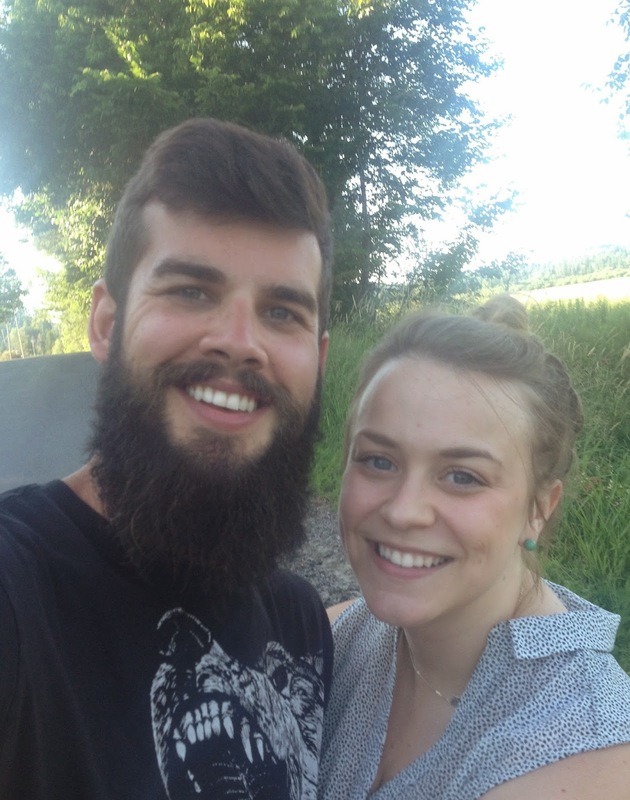 I hope my blogging journey on the bee will share both a mix of a window into our unique lives together and the lessons we have learned along the way while planning our wedding day! Speaking of the wedding, we're planning our outdoor August wedding in our backyard forest. Picture the sun setting and candles lit along the wandering paths that lead to the ceremony spot. There are lots of personal touches everywhere that represent us perfectly (by the time we get there, you'll know us well enough to see) and we're surrounded by our most favourite people in the world. The ceremony starts as my dad walks me down the aisle to meet Mr. Narwhal in front of an old log cabin, where we share our personally written vows. Once we are finally announced as husband and wife, we roll straight into our reception. The drinks are flowing, appetizers are being passed around all night and the band is playing all of our favourite songs. Without revealing all the fun surprises I have in store, that's the day in a nutshell! I can hardly wait to share the rest with you all!